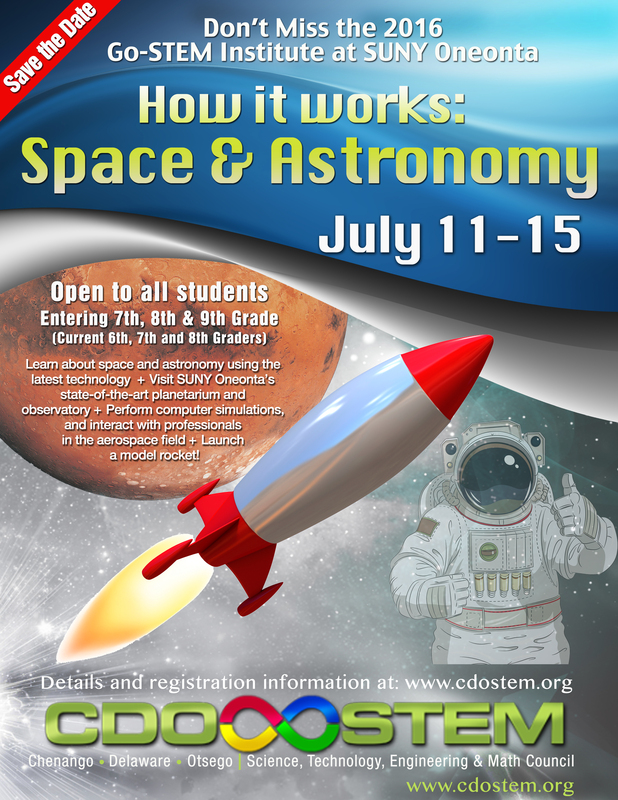 The 2016 GoSTEM Summer Institute will focus on the theme How it Works – Space and Astronomy. The Institute is open to upcoming 7th, 8th, and 9th grade students who want to learn about space and astronomy using the latest technological methods. Students will visit SUNY Oneonta’s state of the art planetarium and observatory, have the opportunity to perform computer simulations, and interact with professionals in the aerospace field. Hands on activities will include building and launching a model rocket.